It's not on the River Liffey, but it is Dublin nevertheless. And ClanDonnell will be there. 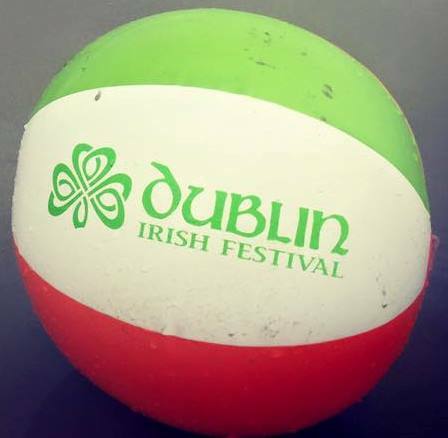 It's August 5th, 6th and 7th, at Dublin's beautiful recreation center grounds. Festival organizers expect 100,000 people there this year, making it not only Ohio's, but one of America's, largest Irish festivals. We're not exactly certain what we will be doing. We'll be in the author's tent most of the time, at least when we are not listening to the music (Dublin has a great line up of musicians). We think we will be giving a talk or two in the cultural tent, and well as telling a few appropriate yarns in the children's area. 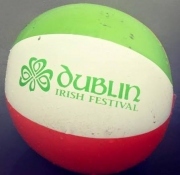 Visit the Dublin Irish Festival website. and like and share it on Facebook. We're telling a tale or two at the wee folks area on Sunday, from noon to 12:45 pm. Here's the Dublin Irish Festival link to the wee folk storytelling session. And we're giving a talk in the cultural tent, entitled :The Easter Rising and the Ordinary Irish", on Saturday, 2:30 - 2:50 pm. 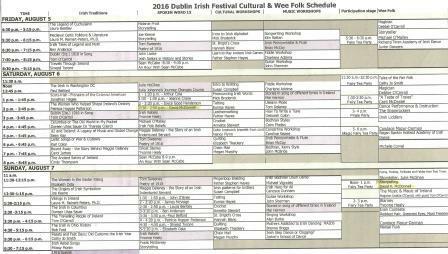 Here's the Dublin Irish Festival link to the Easter Rising session. 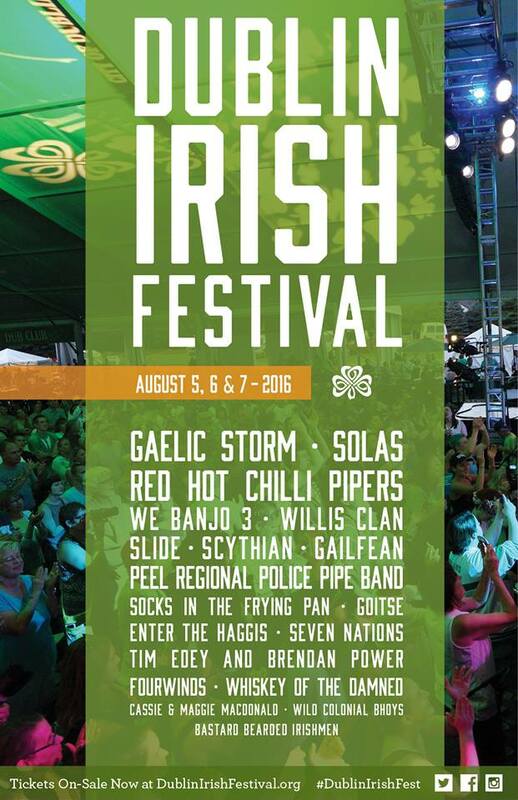 There are more Dublin Irish Festival updates at this link.